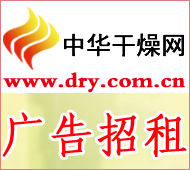 China Drying News On the 12th, from Jiangxi Tianguang Chemical Co., Ltd., it was learned that the special high-performance titanium dioxide for TR36 high-density masterbatch developed by the company has been officially put into the market in batches, with monthly production of over 10,000 tons. After testing the main technical performance indicators have reached the level of similar products of internationally renowned companies, it can completely replace imports. It is understood that this product is made of ilmenite as a raw material, refined sulfuric acid decomposition, purification of titanium sulfate salt, hydrolysis, washing, salt treatment and calcination and other processes refined. Tested by the National Coatings Quality Supervision and Inspection Center, the technical indicators of the product are better than the national standards: 95% of titanium dioxide, 105Â°C volatile matter mass fraction â‰¤ 0.4%, water soluble matter quality â‰¤ 0.1%, sieve residue (45Î¼m) mass fraction <0.01%, scattering force is 100%. The project is a key new product plan project in Jiangxi Province and has passed the provincial key new product appraisal organized by the Provincial Department of Science and Technology. Experts agreed that their production technology is at the leading level in the country. The industrialization of the project has promoted industrial upgrading and technological progress in the titanium white industry, and has also played a good role in energy saving and emission reduction demonstration. According to Xiao Wei, Chief Engineer of Tianguang Chemical, the project's products are based on the traditional titanium dioxide production process and have undergone a number of technological innovations and process optimizations. They have successfully developed double-effect rutile seed crystals using alumina and zirconia. And organic silicon composite coating technology, the formation of aluminum - zirconium - organic silicon coating technology, changed the sulfuric acid method rutile titanium dioxide must be prepared two kinds of seeds and the second addition of the situation, reducing the production process and improve the product quality. The double-effect crystals are more pure, which can greatly improve the quality of metatitanic acid obtained by hydrolysis, the key process in the production of sulfated rutile titanium dioxide. The project team also improved the recovery and recycling process of spent acid, and the waste acid was reused after being concentrated, resulting in significant energy conservation and emission reduction. At the same time, salt treatment formulas have been optimized, and technologies such as impurity removal and iron removal and application of automatic control have been improved in titanium liquids, achieving efficient, stable, low-cost continuous production, achieving improved product performance, cost reduction, energy saving and environmental protection, and safe production. The purpose is to obtain excellent fluidity of the product, and its heat-resisting temperature is above 310Â°C. Xiaowei Xiao told reporters that China's titanium dioxide production is dominated by the sulfuric acid method, and the overall technical level of the titanium white industry, especially the level of process technology, is still relatively large compared with developed countries. Tianguang company successfully broke through the key technology of high-performance titanium dioxide production, and quickly improved the quality of its titanium dioxide products to the leading domestic and international advanced level. This technology has obtained national invention patents. Spherical Mirror,High Quality Spherical Mirror,Spherical Mirror Details, Changchun Ruiqi Optoelectronics Co., Ltd.